This was an interesting lot that appeared out of nowhere. The seller must had very similar taste as mine. Some are simply rare - maybe I have seen them appear just once every few years. From what I gather, they have been sitting in his collection since 1970s (!). It's one of those hoards where you can't win them all. I did end up with a key date that I have been looking for the past decade. Next up is an unusual off center coin, 1895 1 fun, 2 characters. 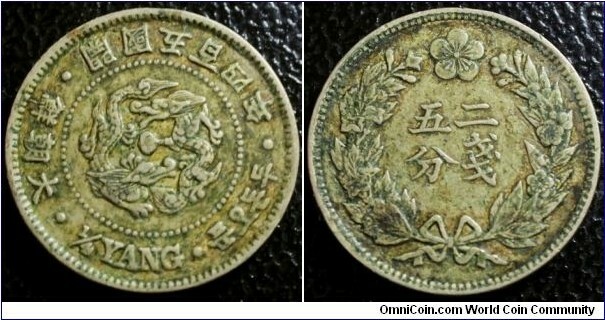 If you collect Korean coins from this era, error coins like this is very uncommon, if not scarce! Last coin is one that I have been hunting for a good decade. I believe I have only seen just 5 examples for offer - 3 in damaged condition, one was one of my hands and this is one that I finally obtained. 1895 1/4 yang, 2 characters. As of why this version is significantly rarer than the other, I cannot explain why. 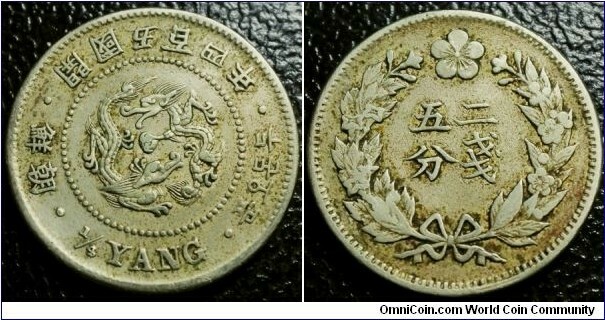 An interesting aspect of early Korean coinage is that while the coins were first struck in Dec 1892, coins were not released to the public until Aug 1894 !!! There are reports that the mint in Incheon struggled to strike sufficient quantity but there is also a very huge political aspect behind the scene. 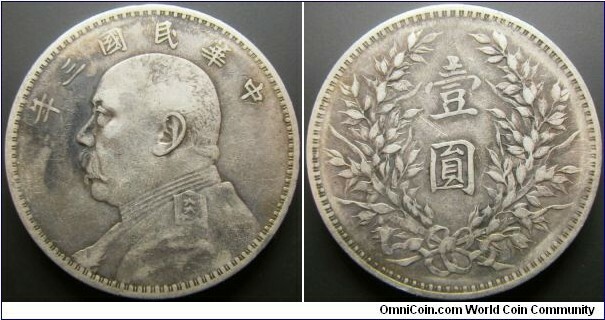 A Japanese yen coin struck around this era - 1894 1 yen. Notice how similar the design is as well as the wording "Great Nippon"
Did his opinion mattered? It seems like it did - at least for one year. In 1892, all coins were struck with the wording "Great Chosen" and in 1893, "Chosen". 1894 seems like is a mixed bag - perhaps both types were struck, one before and after the Japanese invaded China. The mint employees probably didn't care in 1895 and 1896 as both types were used - this is an interesting puzzle that I never looked at closely. I'll present more when I get around to it - the history of early Korean machine struck coinage presents a lot of challenges as well as plenty of troubled times ahead. 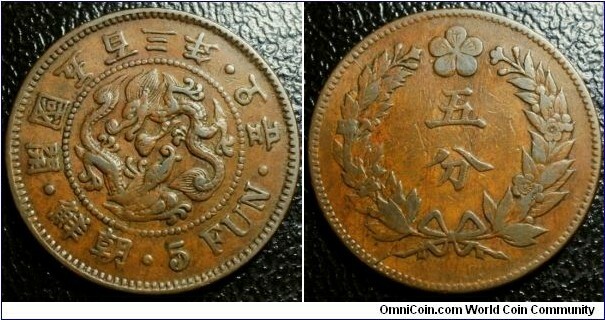 Feel free to share your early Korea coinage, it will be 'fun' ! Nice. Thanks for sharing. I sometimes forget that back in those days the other parts of the world were humming along with their own political, religious, and social issues. I like the coins and the history is very interesting. Good to hear from you Art! Hope all is well and take care! I got around to free up a bit of time and decided to work on the early Korean machine coinage. Had to rephotograph everything as I used different cameras along the way and the photos look terrible. I'm still improving on my photography skills (and website skills at the same time...) Some day I would like to redesign the digital album as I designed it back a decade ago. This was designed in A4 size instead of the slightly smaller B5 size that Dansco and other manufacturers use. Some minor things that I discovered while I was photographing these coins are that the alignments are just all over the place! One cannot use the 'dots' for alignment. 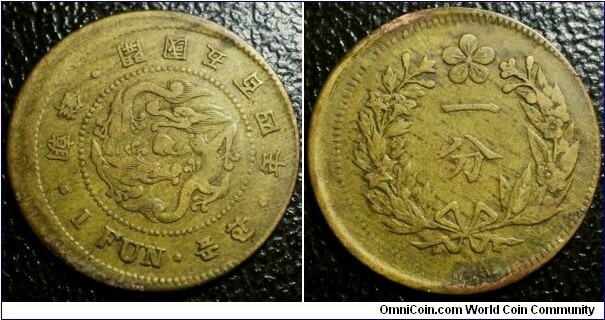 It is known that the early Gwangmu coins are meant to be aligned where the dragons' head are in a vertical line. 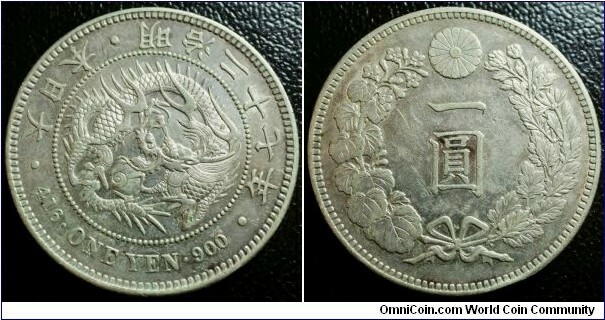 Unlike the Japanese coins, they are often aligned with dots around the character 'x sen' or to the Meiji character. The same also happens with the dragon coinage. The biggest offender that I noticed is with the phoenix alignment for coins struck 1905 - 1910. Even with major TPGs - most catalog and slabs that I have seen are aligned to the bottom dots "x chon". Instead I strongly believe that the alignment is meant to be where the phoenix's head is held high at 12 o'clock instead of the rooster like alignment at 10 o'clock. I think I can close the book on this collection - I have done the best for the past decade and that will be it for me (for now). All other coins are too rich for my blood. Added some reading material if you are into this particular coinage. The digital album is also quite neat - those holes shall be left as it is!